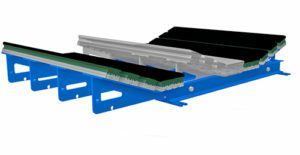 Luff Impact Beds are constructed for strength and durability; perfect for medium, heavy-duty and extreme applications. Custom and low profile designs are available. 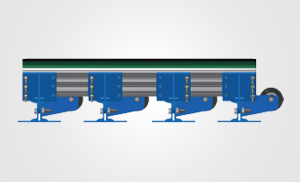 The unique frame design allows for the impact bars to easily slide out in two sections for more efficient removal and replacement, reducing maintenance and downtime costs. 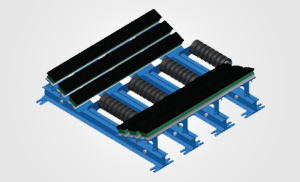 Available in standard lengths of 18", 48", 60" & 72"
Luff’s in-house engineering team will custom design the impact bed to meet specific needs for quick and easy in-field installation. 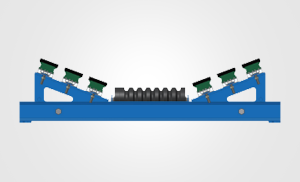 Center impact rolls reduce belt friction minimizing heat build-up and bar wear.